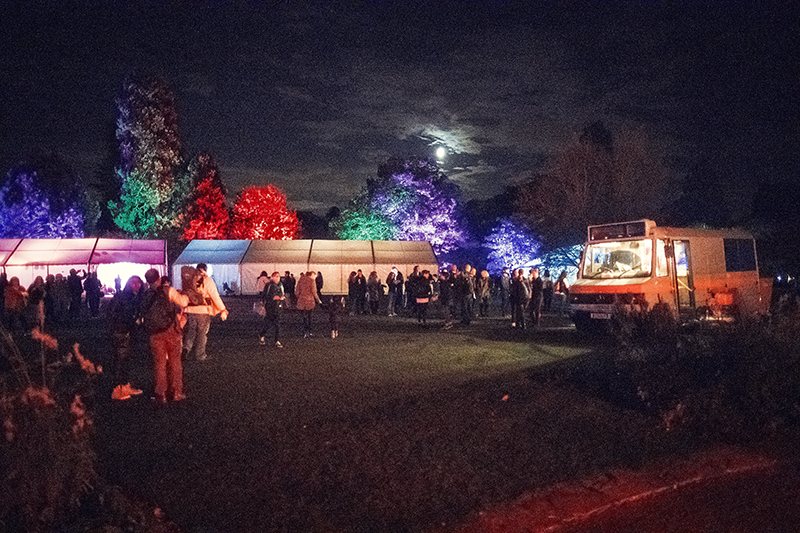 In October 2017, the Botanic Garden played host to the Festival of Light. 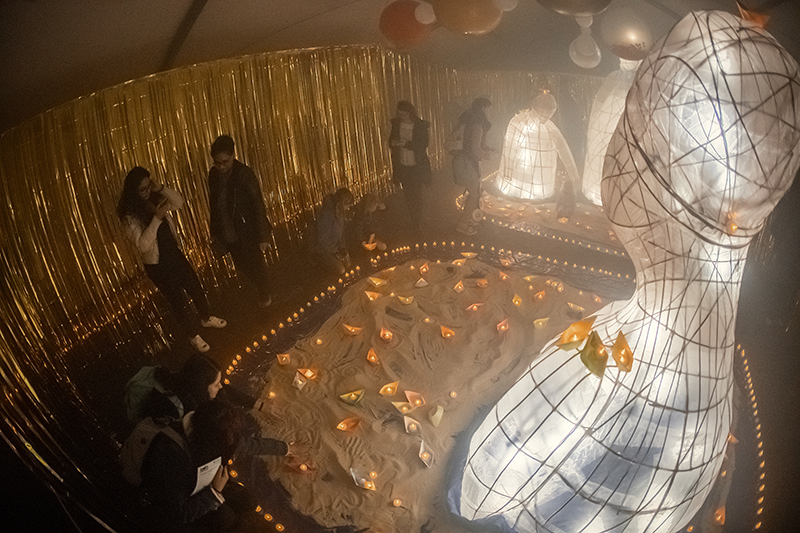 One of the University of Cambridge Museums’ most ambitious events to date, the free Festival was the culmination of the year-long India Unboxed season. 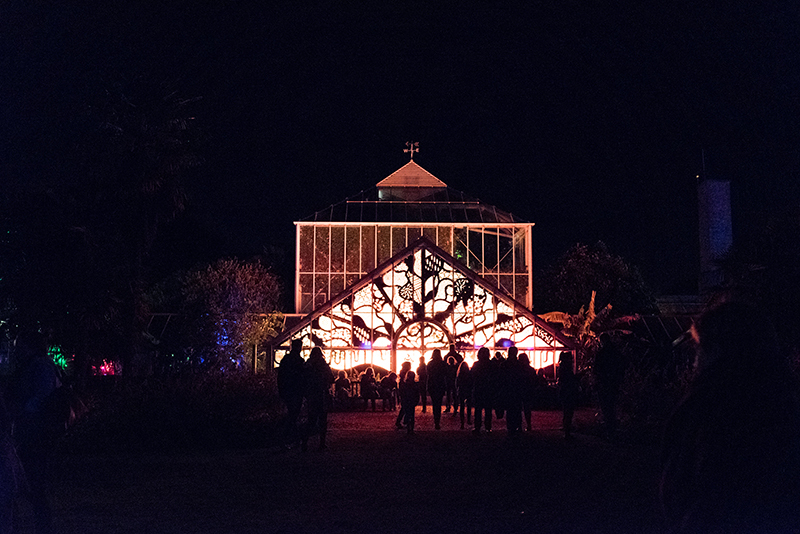 A thousand-strong audience enjoyed an epic live performance by Talvin Singh, crafts and activities by the individual Museums and Emergency Exit Arts, and a spectacular light installation in the glasshouses by designers Studio Carrom. Hello Jen. 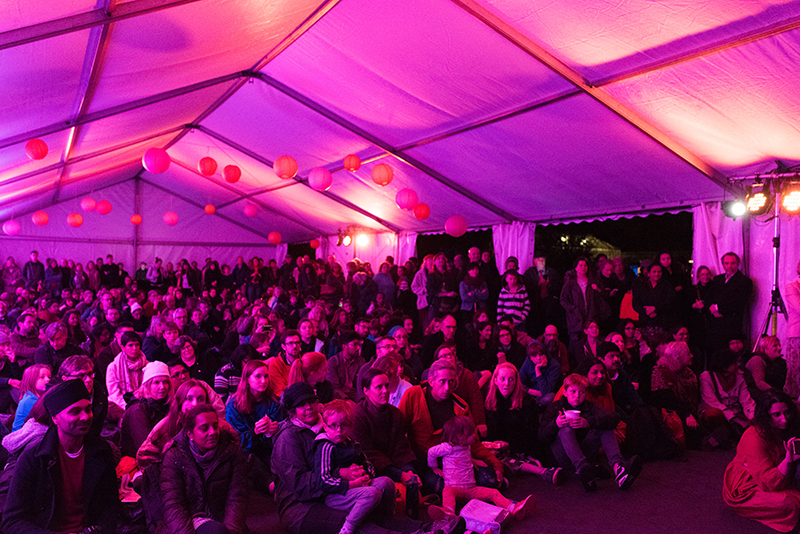 Can you tell us a bit about the Festival of Light last month? Hey Hannah! Sure. 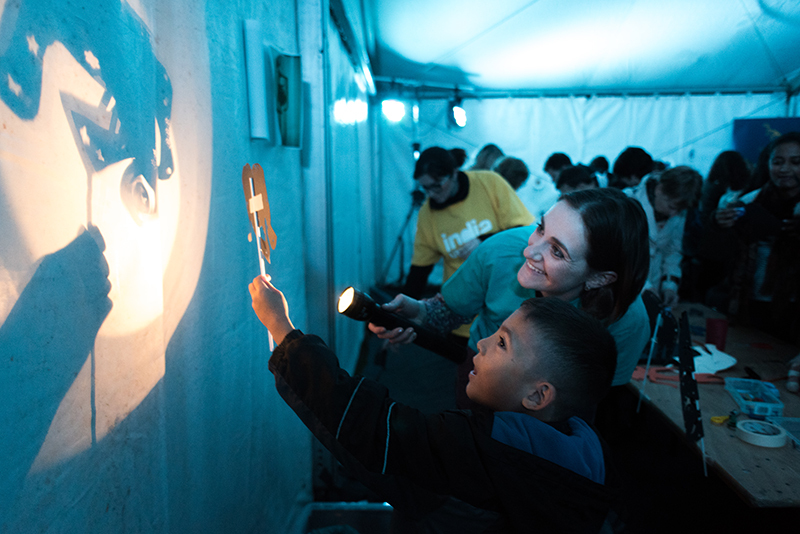 The Festival of Light was the highlight event of the India Unboxed season that ran across the University of Cambridge Museums this year, curated by Malavika Anderson. Malavika programmed it to get as many people as possible celebrating Diwali together as part of her programme. Diwali is celebrated in lots of very different ways across India but with a strong message of light over darkness. That was where it started, and we tried to have this underpin the programming decisions we made for the night. 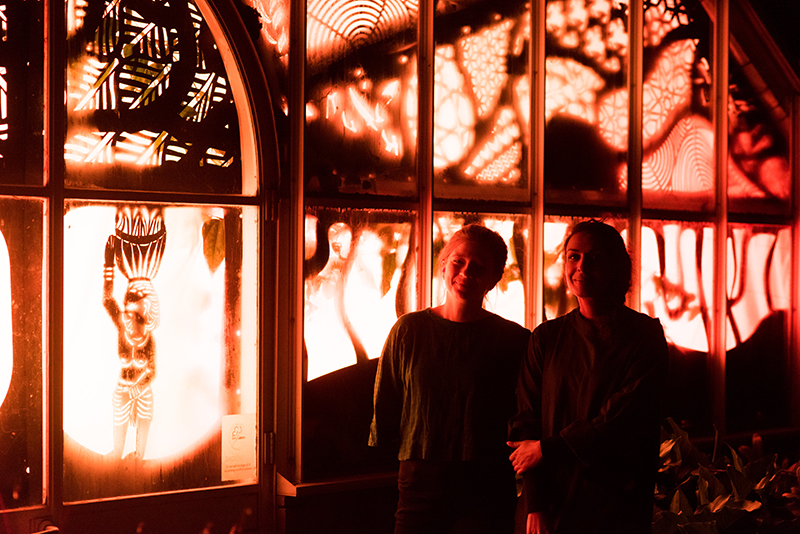 Studio Carrom’s spectacular light installation in the glasshouses. Photo by Alice Boagey. Malavika has said that a Diwali event was one of the pipe dreams she had when she started her secondment in December. 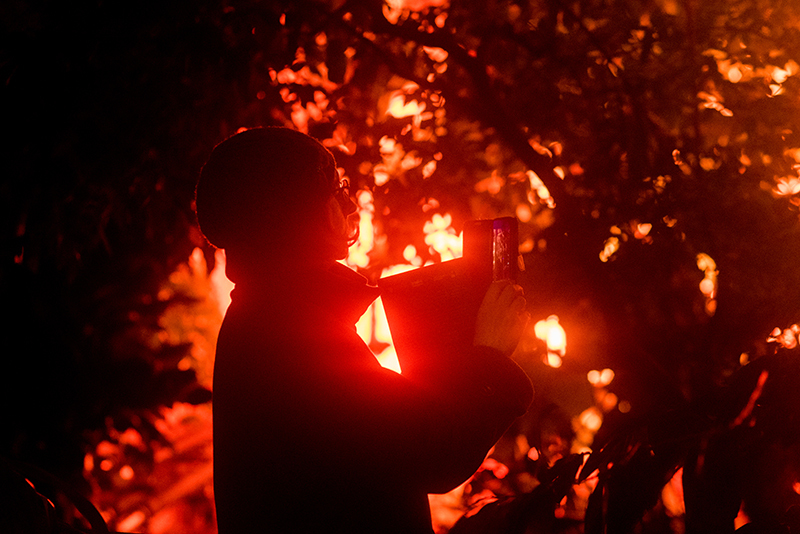 At what point did you both get a clear vision for the event, and you knew you wanted it to be at the Botanic Garden? I think it was when we recognised that we wanted to get as many people as possible celebrating it, rather than running it on a smaller scale. The Garden seemed like a great place to be able to do that so we approached them and happily they said yes, with some provisos. How long did it take to plan from the moment you decided to work with the Garden? We approached the Garden in late April. It took a bit of time from initially approaching them to pin things down, to look at our budgets and agree the scale of things. 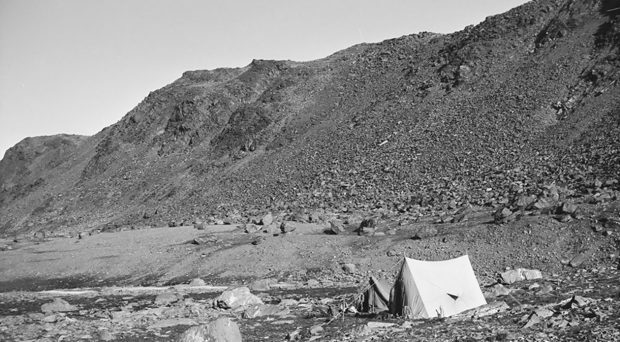 Then we started programming around mid-July, and from that point onwards it was all systems go. Were there any particular audiences you wanted to attract, or was it very much open to everyone? This was something we actually found quite difficult, to be honest. 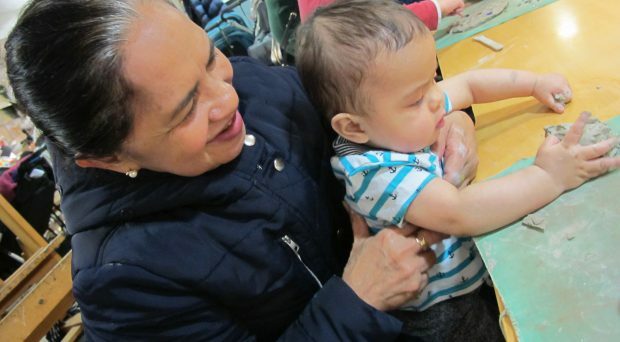 We wanted to make it an intergenerational event, but doing so proved quite challenging. It had to be family-friendly and also have something for adults. 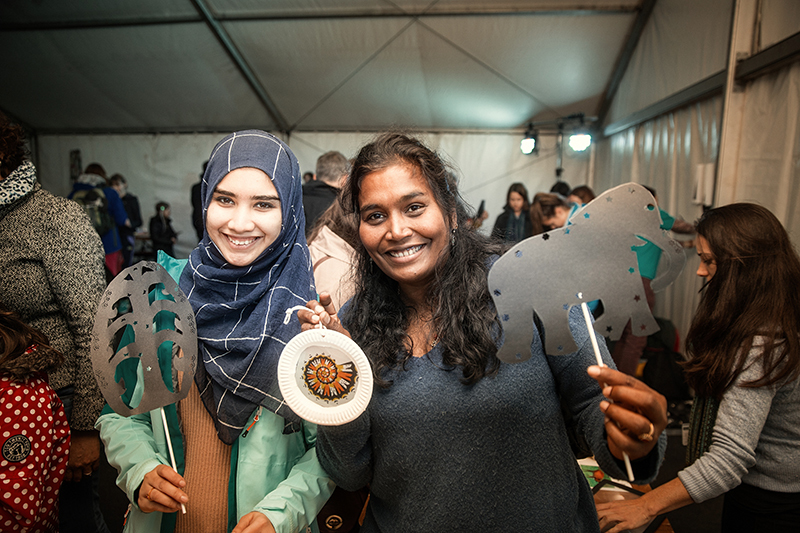 And of course it was important to welcome different communities, especially those Malavika had been working with through the other areas of her work, and to bring them all together. But as it turned out it wasn’t quite targeted in the way that we might have ideally wanted. It was the first time we’ve done something like this, so it was a learning experience. I think that was one of the nicest things about the event, that there was something for everyone. You had the individual Museums in the museums tent doing crafts, and then you had Emergency Exit Arts doing something that asked visitors to participate a bit more emotionally, but didn’t feel like a kid’s activity, and then there was music from Talvin and the Studio Carrom installation. There were so many different components to pull together. How did the Garden help? The Garden team were great, and were really good about accommodating us at a very busy time for them. (Apple Day, one of their biggest events of the year, happened in the same week.) The team, especially Wendy Godfrey, helped a lot with containing our ideas – in the sense that they were just very practical about their spaces and what they could offer. This was very helpful. The Garden is such a massive space that we had quite grandiose ideas, bigger ideas than we could have actually have delivered with the budget and in the timeframe. And the team – particularly Alex Summers, the Glasshouse Supervisor – were brilliant in the glasshouses, helping realise Studio Carrom’s ideas practically within the environment of the collections. And they gave us great tips on running things outside. 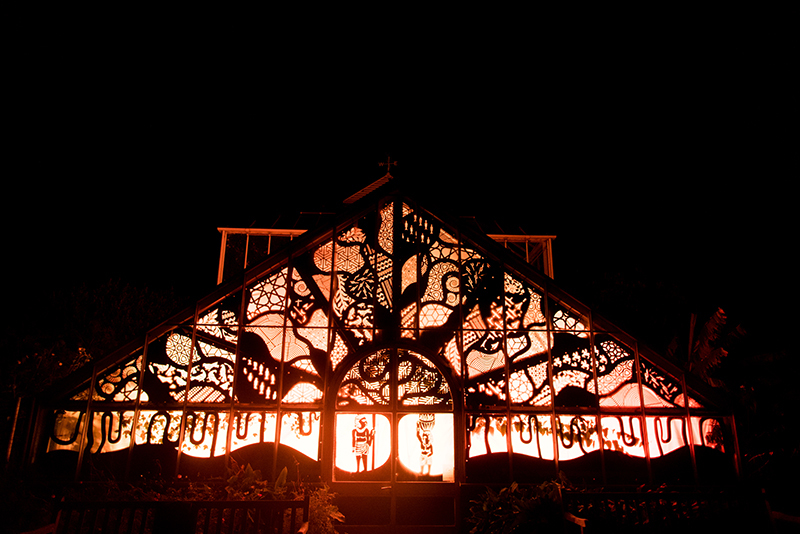 View of the installation in the main glasshouse. Priya Sundram and Nia Thandapani of Studio Carrom in front of the installation. Exploring the interior of the glasshouses. 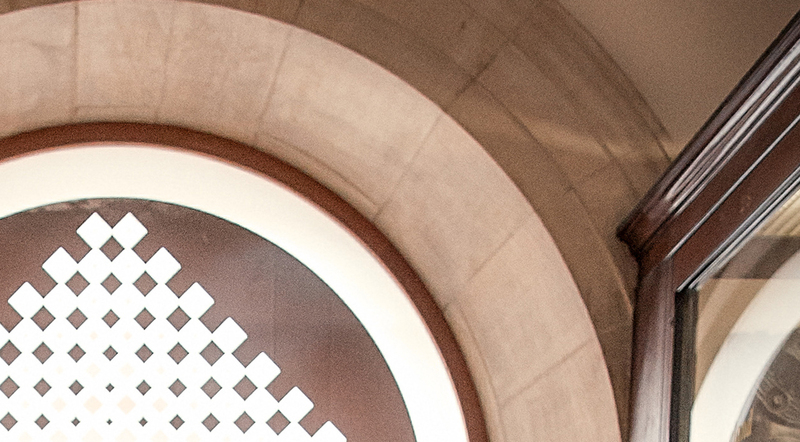 A detail of the installation, which was made of black laser-cut felt suspended from the framework of the glasshouse. 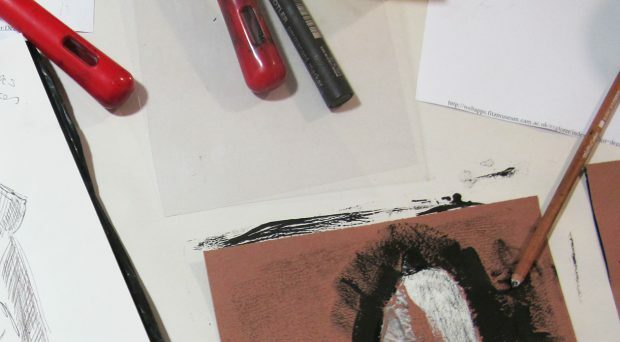 Studio Carrom were inspired by objects in UCM collections. 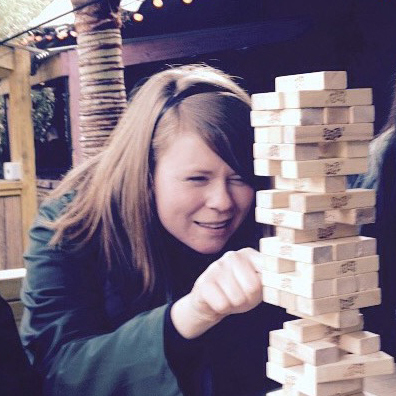 What are the challenges of coordinating a large scale event – especially outside? I think the challenge is to make an event that’s enjoyable and well-choreographed for people. It’s all very well to have a good idea about content, but unless the event on the day is easily accessible, not too busy, and well thought-out, people won’t enjoy themselves and they’ll probably be less receptive to those ideas. Those practical things are important. As it was an outside event, obviously the weather was a massive thing that hung over us. In the end, we were very lucky with an unseasonably warm day, clear skies and an atmospheric moon. 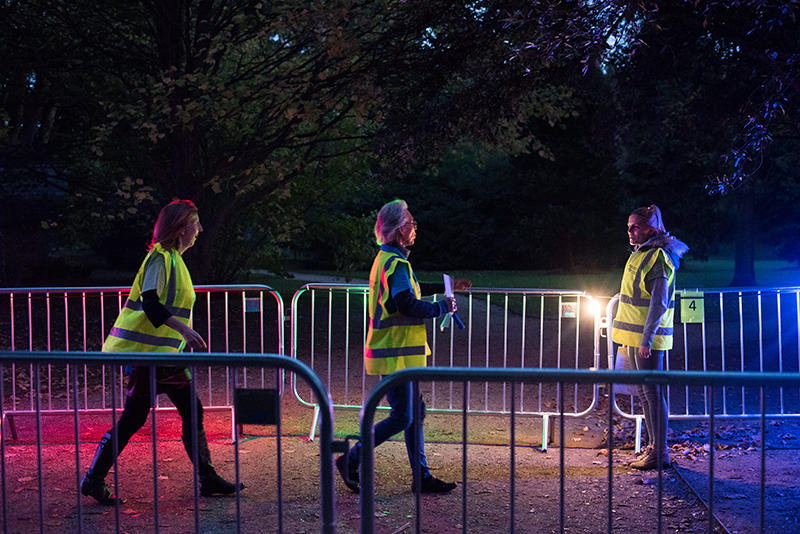 It was important to make sure that the wellbeing of the volunteers and staff was thought about, when they would be standing out in the cold. It sounds silly, but one thing I didn’t anticipate quite as much was the level of darkness – there was some feedback that it was maybe a bit too dark in some areas in a way we didn’t anticipate. Being mindful of the Garden as a living collection and the importance of safeguarding it was a challenge we hadn’t fully anticipated when we planned things too, i.e. bringing vehicles onto site. 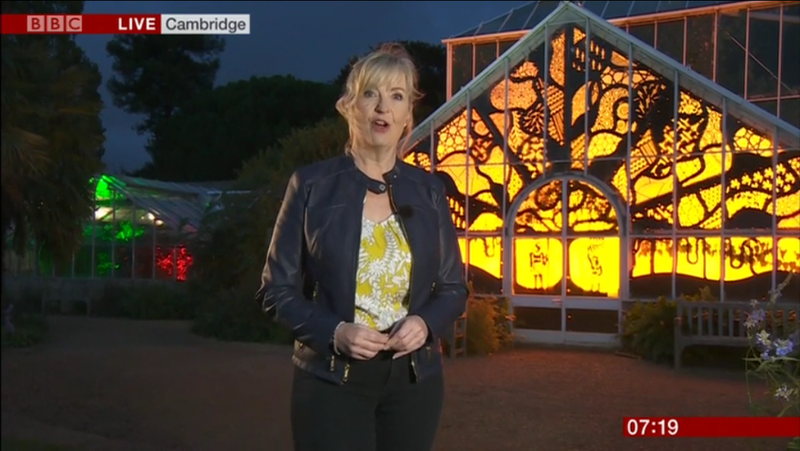 Carole Kirkwood and the BBC breakfast team broadcast the weather live from the Garden on the morning of the event – 4am starts for some members of the UCM & Garden teams! How was the volunteer team crucial on the day? Vital. As friendly, cheerful faces along the pathways and in the different spaces they were crucial to make such a big space welcoming. It’s a long walk from the Garden’s gates to the main lawn. 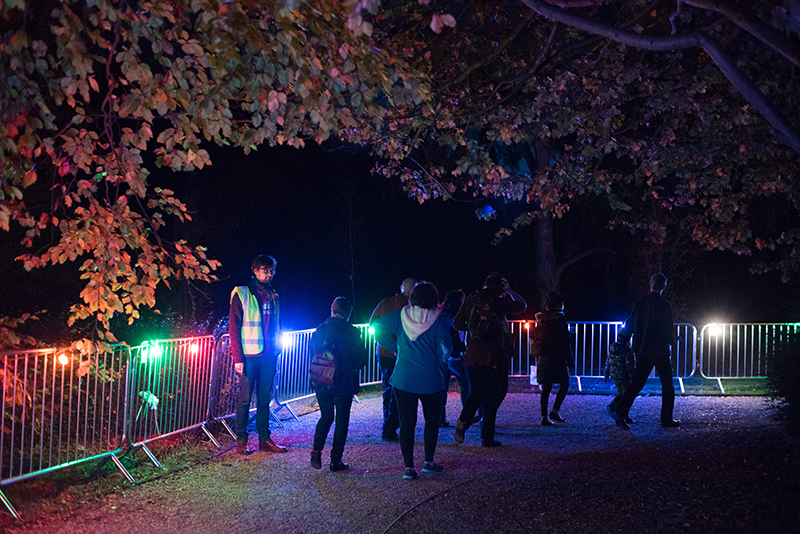 Festoon lighting and friendly volunteers guided visitors along. Photo by Alice Boagey. At what point in the evening did you think “Ah, it’s gonna be OK”? Or did you not get that feeling until afterwards, because you were the responsible person? I think it was when all the volunteers had got into place – about 5.45 – and everything seemed to be set up and time seemed to slow– I thought, OK, this will be all right as long as people turn up. Volunteers getting into position. Photo by Alice Boagey. What was your highlight of the night? One overarching highlight was the lights. It felt quite a special event. 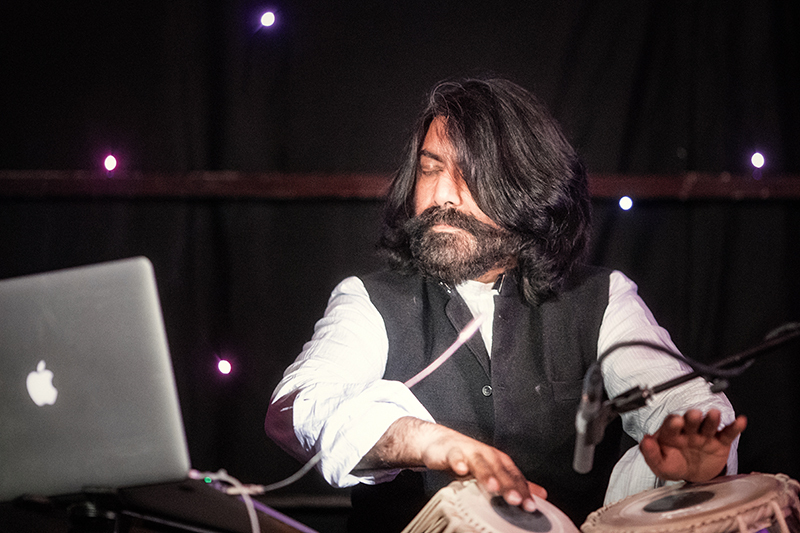 Otherwise, it has to be all the people enjoying Talvin Singh. He was someone that Malavika was really keen on having perform. It was nice for people to enjoy the performance however they wanted – some were sitting down, eating food, others standing – so it was great that came off, for her especially, because it was so popular. Top tip for organising a big event? Time! For a new event give yourself more time than you think you need. Bring lots of people in. One of the great things about this event was the way all the UCM team and the Garden – but especially the UCM team for us– came together and helped Malavika and me plan and deliver it, otherwise it would have been pretty difficult. Tabby Hayman (the Museum Learning Project Assistant for India Unboxed) and the individual Museums essentially managed their area of the event for us. 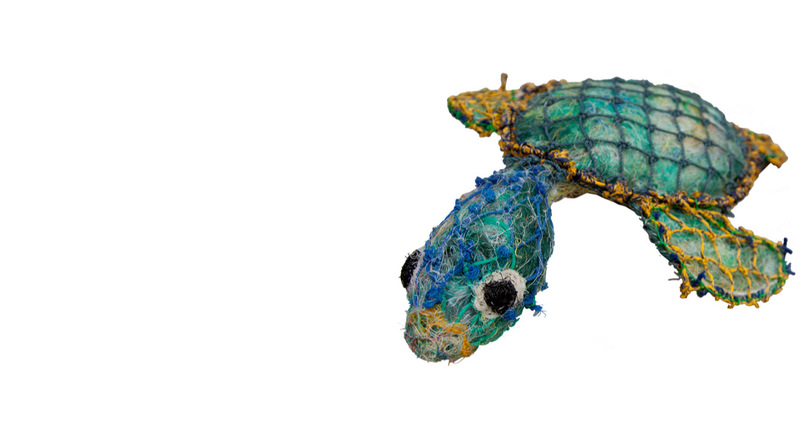 Light themed activities from the University of Cambridge Museums: ammonite suncatchers with the Sedgwick Museum. Photo by Martin Bond. 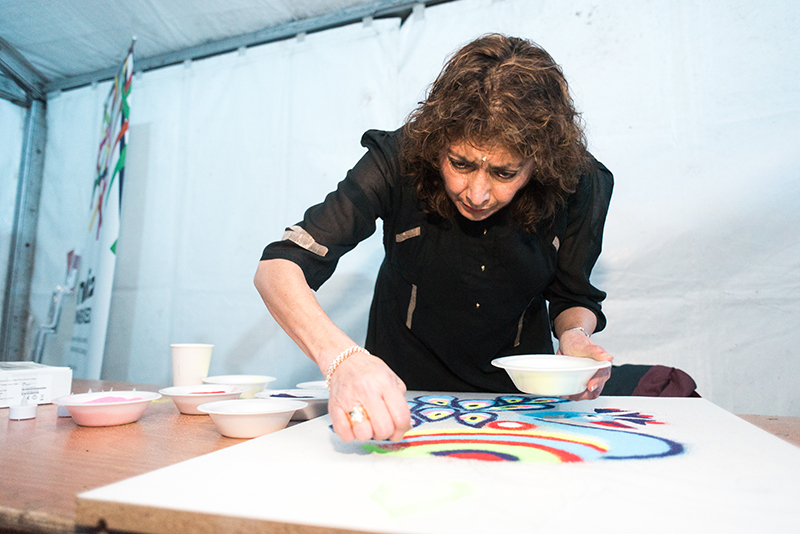 Light-themed activities in the Museums tent: having a go at rangoli. There was lots of positive feedback about the Museums tent. 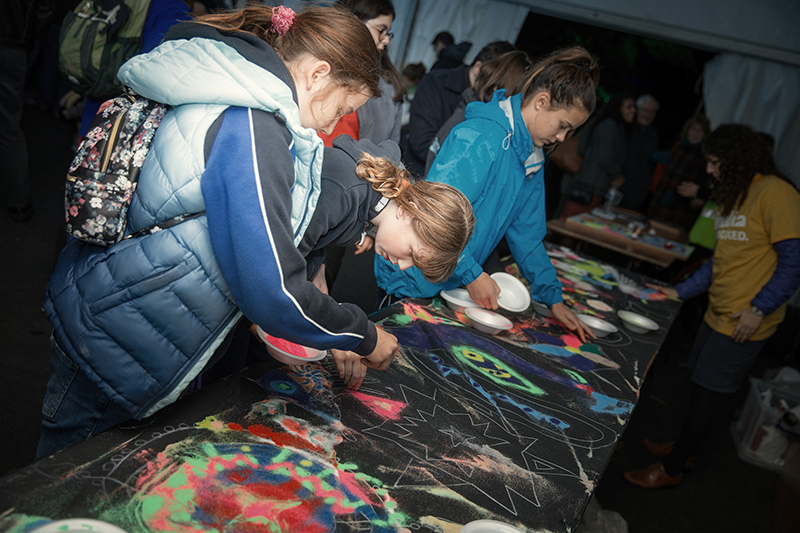 People commented on the things they’d learned: they’d never known how difficult Rangoli was to do, and how interesting it was to learn the Indian names for the constellations, and the fun they had doing shadow puppetry. For me, that was great to learn that the event allowed people to learn and participate, as well as just view. I’m proud that we got that mixture of just viewing – in the Glasshouses – and participating in the other tents right, because I think participation and having the opportunity to give a bit of your own reflection is important. 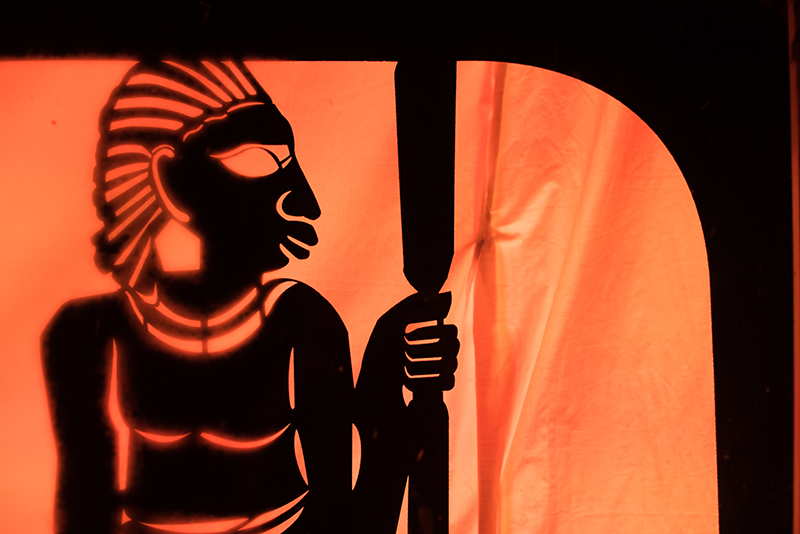 Well, there are some Cam Lates coming up very soon: explore The Edge of India at the Museum of Archaeology and Anthropology, and kick off your festive season at the Sedgwick Museum. 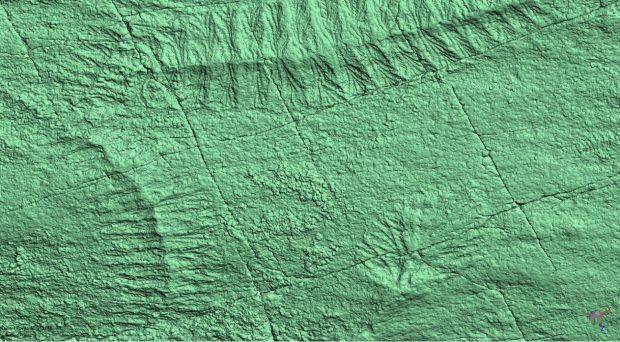 Find out more on the UCM website.